Applications to become a 2018/19 Student Ambassador are now open! If you’re wondering what the job involves or why you should submit an application, keep reading! Each academic year, we recruit enthusiastic students with a passion for Loughborough University London to help support a range of events and activities such as open days, campus tours, online web chats, event support and much more! As a student ambassador, you will have the opportunity to work alongside fellow students and staff on a variety of events, both on campus and around London. It’s a fantastic opportunity– and what is even better, you’ll get paid £10.86 for every hour that you work! Not only this, the working hours of the role are designed to be flexible, so that you can plan your work commitments around your studies and social life. Undertaking part-time employment as a Student Ambassador looks great on your CV and is a great talking point in interviews. The role will enable you to develop your professional skills and personal development, such as enhancing your communication, leadership and team work qualities. Yitian Ma, a 2017/18 Student Ambassador, said “the best thing about being a student ambassador is helping to uphold the UK’s best student experience by being helpful and useful to somebody in need”. Students know how nerve-wracking moving to a new place can be, whether that is a new city, new country or a new university, because many have gone through the same experience. 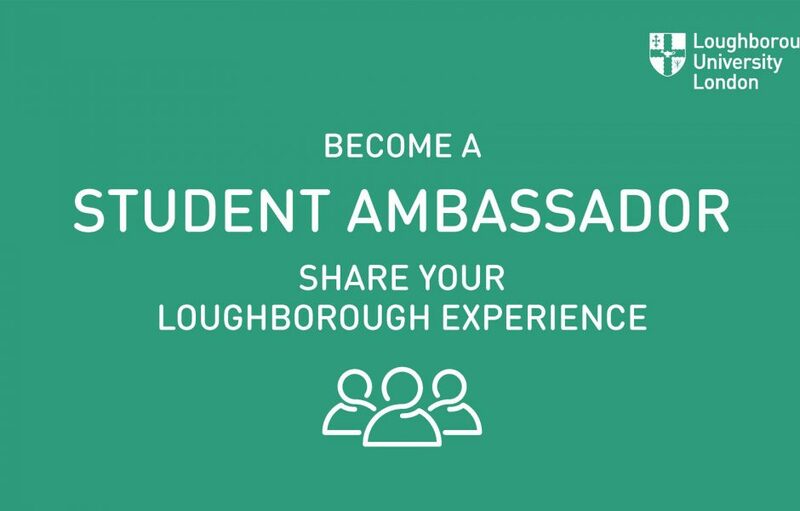 For more information about the Student Ambassador scheme and how to apply, check out our webpage. You can also read the experience of one of our 2017/18 Student Ambassadors on our blog. The deadline to apply is midnight on 14th October 2018 and interviews will be held between 22nd – 24th October. Successful applicants will find out 26th October. Good luck!